There are hundreds - if not thousands - of locations around the world that are ideal for photographers to capture breathtaking photos. 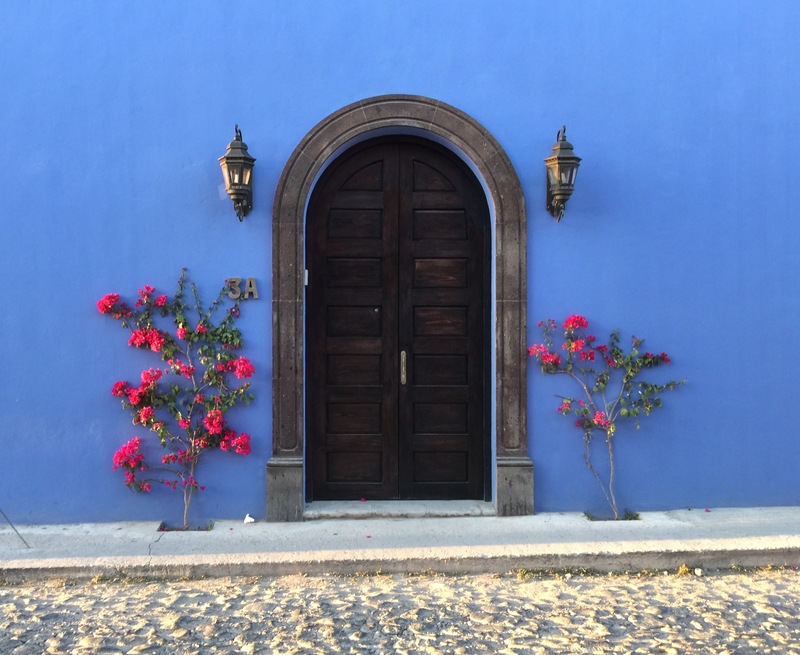 Though some locations might have a bigger name as a photography hotspot, San Miguel de Allende, Mexico proves to be well worth the title of a photographer's paradise. There's something special in this city that goes beyond its inherent beauty. The colors, the culture, and the history combine to give photographers fodder for photographs of all kinds - portraits, landscapes, street scenes, and everything in between. 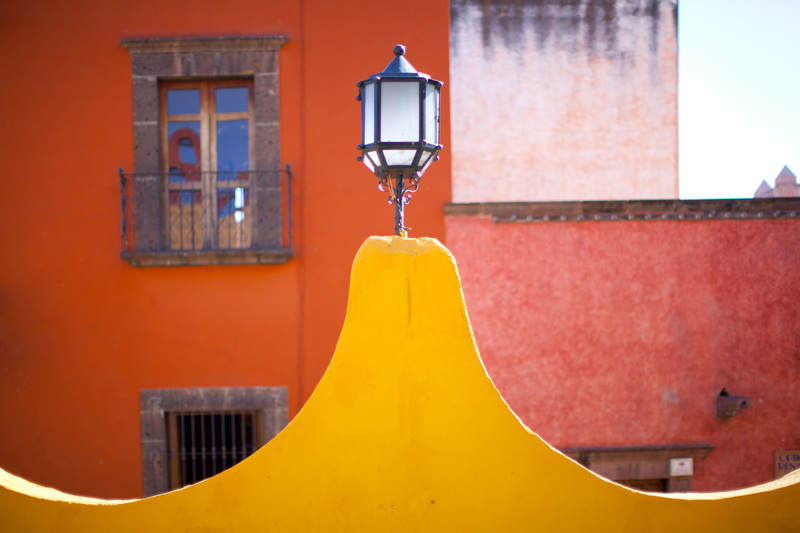 Here is a sampling of what you might find touring San Miguel de Allende with your camera. 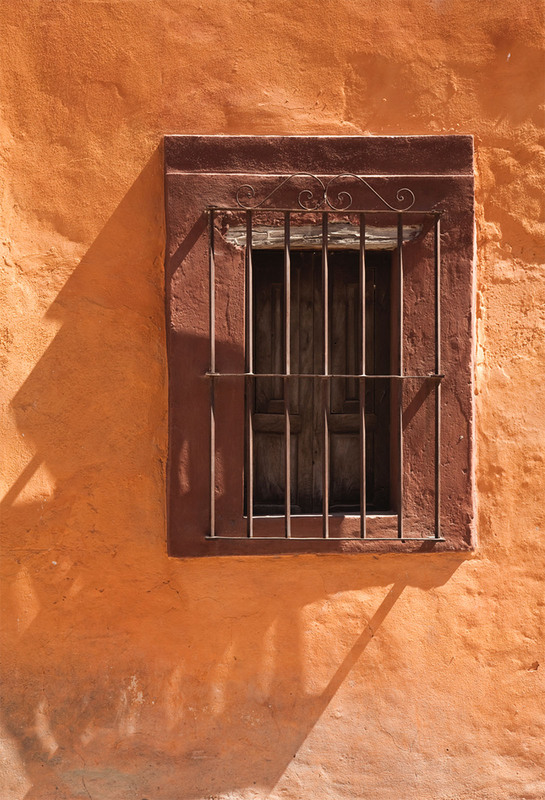 San Miguel de Allende is full of interesting vignettes like the one shown above. 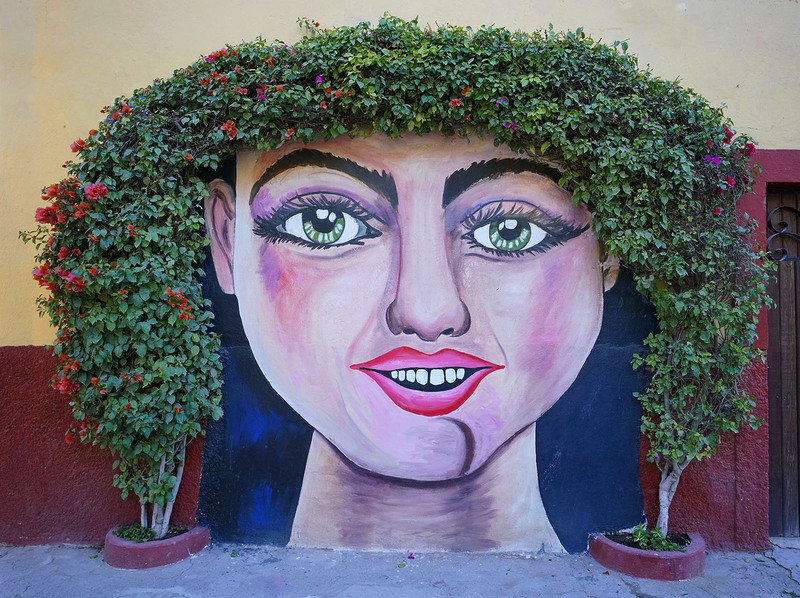 These whimsical murals make for wonderful images that reflect the fun vibe one finds in the city. The colors you find as you stroll the city streets are absolutely incredible as well. Scenes like the one in the image above, in which buildings are painted with rich, saturated, and bright colors abound throughout the city. 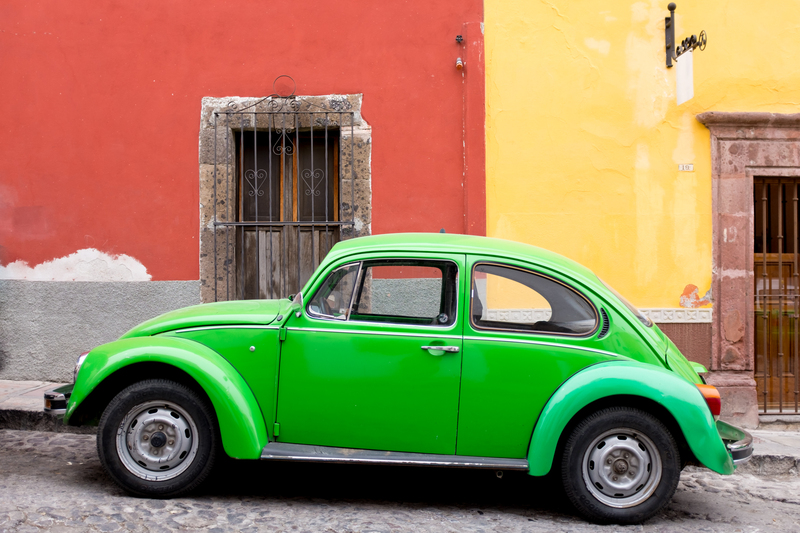 As you can see here, even the cars in San Miguel de Allende have bright and vibrant colors that help you create images that pop. Street scenes like this are all around town, so everywhere you turn with your camera is a chance to work with gorgeous colors. 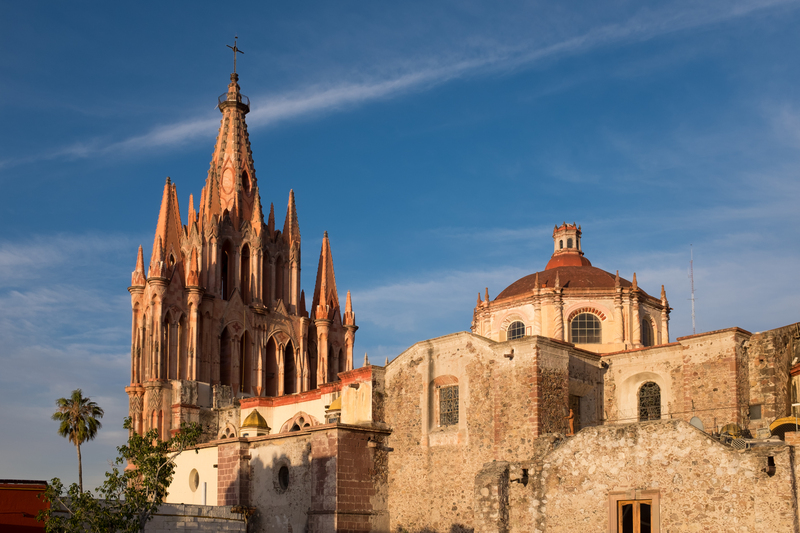 One of the calling cards of San Miguel de Allende is its incredible architecture. Its crown jewel is the neo-Gothic Parroquia de San Miguel Archangel Church shown above. As you can see, its soaring towers and intricate details make for a beautiful photography subject. 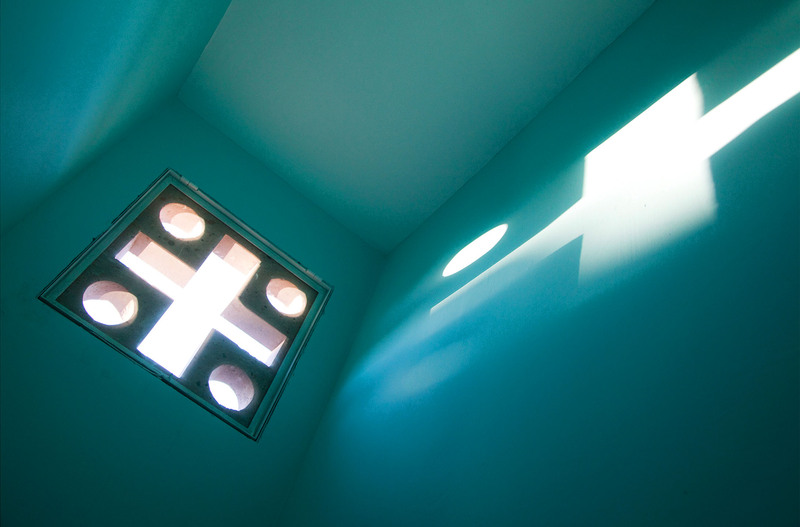 The light in San Miguel de Allende isn't bad, either. Here, the combination of the golden light filtering through the archway of the church makes for an eye-catching architectural photo. Notice how this shot has beautiful architectural details throughout - in the columns on the church, the brickwork on the wall on the left side of the shot, and even in the cobblestone street in the foreground. As you can see here, even simple scenes of small architectural details jump off the screen. The combination of the contrasting bright yellow and deep orange colors as well as the interplay between the soft curves of the wall in the foreground and the angles and lines of the walls and windows in the background make for a beautiful shot. One of the challenges with street photography is building up the nerve to approach perfect strangers to take their photo. 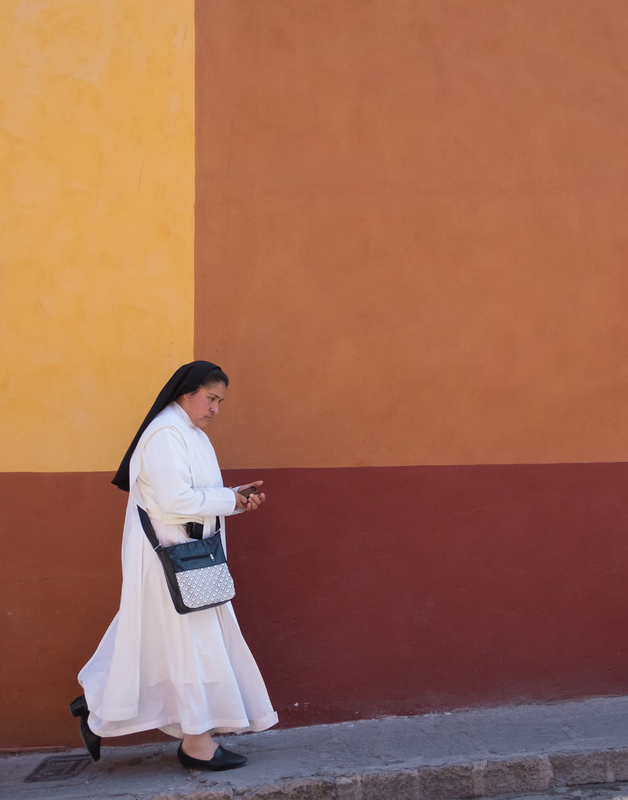 But the people in San Miguel de Allende are wonderfully friendly and approachable, making it easier for photographers to capture gorgeous portraits like the one shown above. 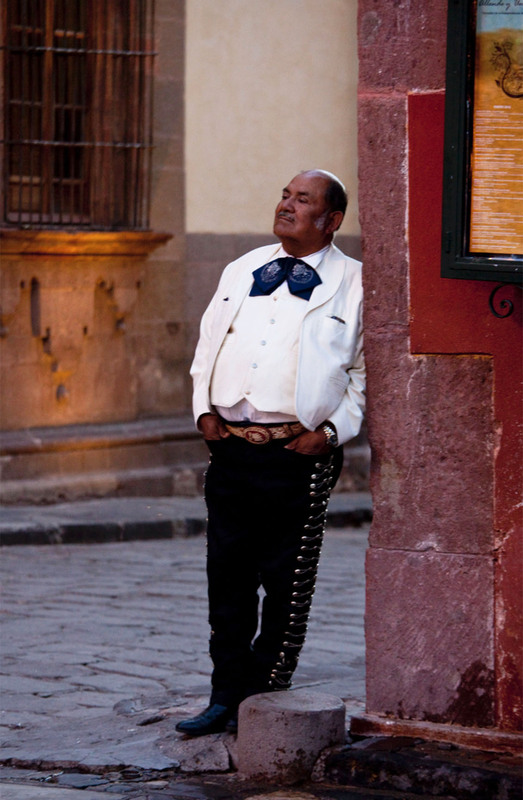 Of course, even regular street portraits in San Miguel de Allende offer you the opportunity to get stunning results. That's because the aforementioned vibrant colors found all over the city make for excellent backdrops. In this case, the timing of this portrait to frame the passing woman in front of the intersection of colors is simply perfect. 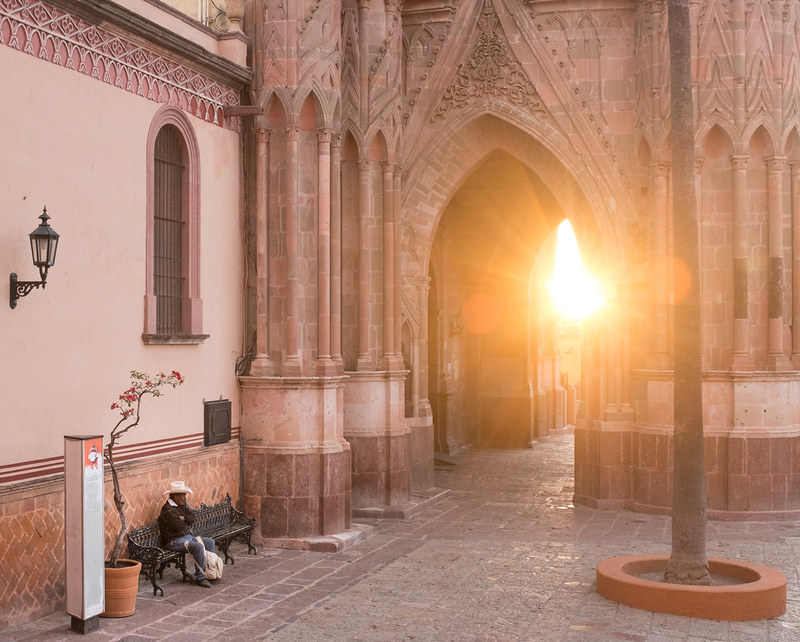 There's also plenty of chances to utilize the gorgeous light found in San Miguel de Allende to your advantage for more dramatic portraits. In the example above, the setting sun provides dramatic shadows cast by the buildings to the left. The darkness of the lower portion of the image and the brightness of the upper portion of the shot make for a compelling and interesting street portrait. 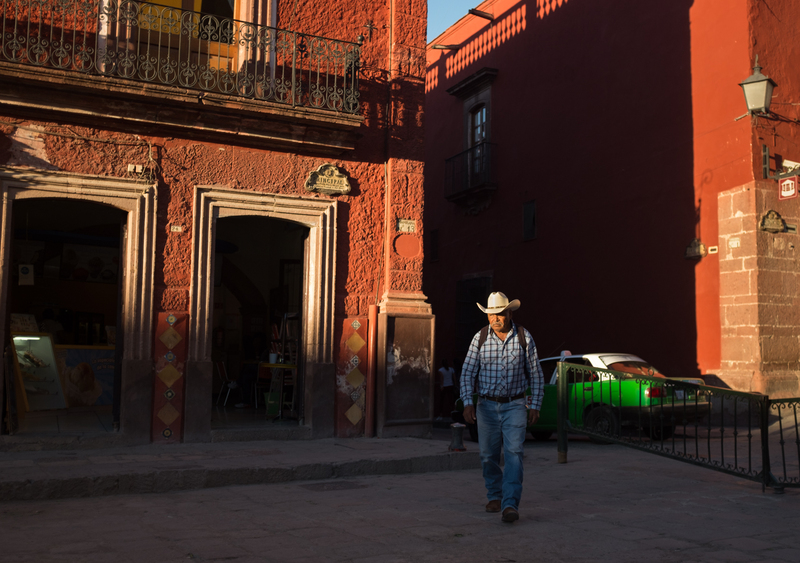 If you're a photographer, the only way to experience San Miguel de Allende is on a photography tour. 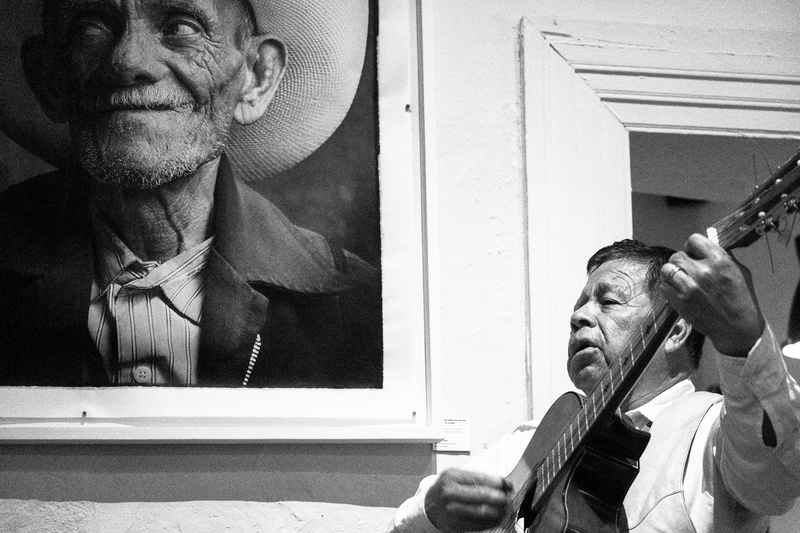 San Miguel Photo Workshops specializes in photography tours of this area, and they do it better than anyone else. Photographers James L. Wilson and Mark Hemmings have been leading photography tours here for 11 years, so they're familiar with all the best locations for you to experience the beauty of the area and hone your photography skills at the same time. 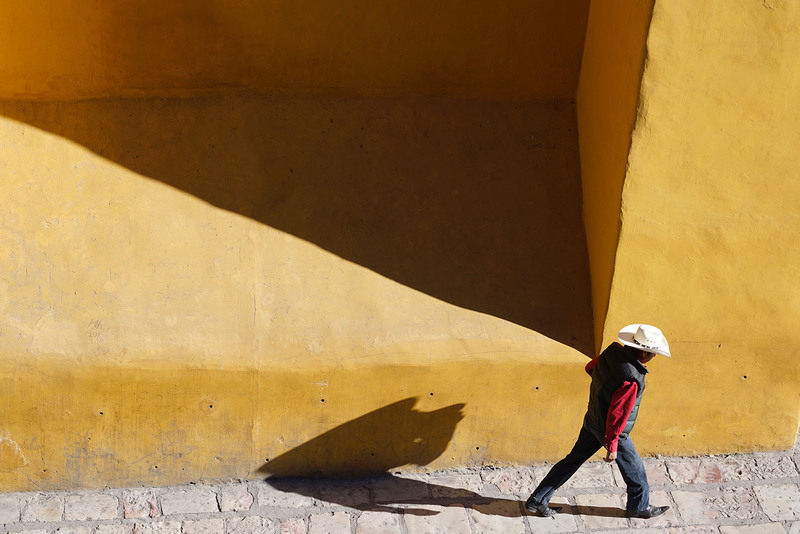 In addition to having experienced, professional photographers with intimate knowledge of the area, San Miguel Photo Tours limits tours to just 12 people. That means that you won't get lost in the crowd or have to worry about not getting much one-on-one time with the workshop leaders. 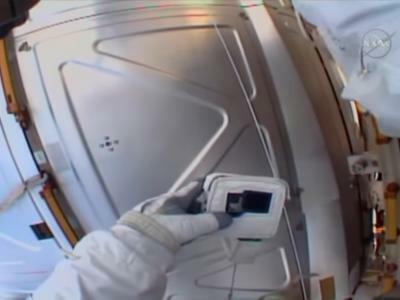 Instead, you get a personalized tour experience that allows you to develop the skills you have even further while learning new skills at the same time. 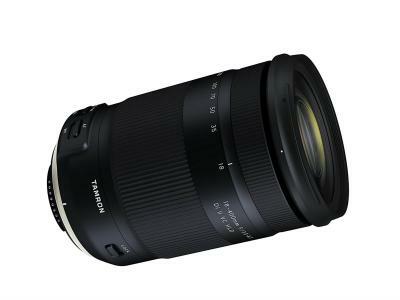 As if that's not enough, San Miguel Photo Tours is a truly luxurious experience. You can stay in a private villa where all dinners are provided. All transportation in and around San Miguel de Allende is provided as well. And, at the end of the workshop, you get all the teaching and learning materials that Mark and James use, that way you can keep on learning long after you've left the beauty of San Miguel de Allende behind. 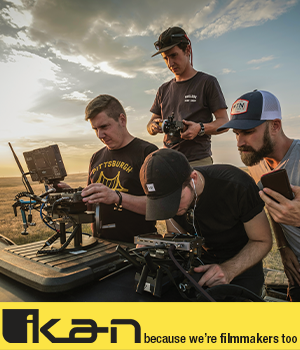 Not only is this a stunningly beautiful place, but with a top-flight photo workshop to help you along, it's a perfect location to get your photography game on!